"This isn't a ghost story. This is a love story. It's the story of how I fell in love with you." A Frost of Cares starts at the end, which is kind of like the beginning, only later. Or something like that. It was kind of an odd way to start a story like this, but it totally worked. Luke Alcott knows loss. He's been waiting for his boyfriend, Danny, to come home for ten long years. And I don't mean he actually expected it to happen. But he didn't really move forward in his life, either. Luke deserved better than he got from Danny, who was drowning in addictions, but Luke isn't a man who gives up easily. Jay McBride is a damaged man. But not necessarily in the way he thinks. He lost a leg while serving in Afghanistan, sure, but the damage done was more than superficial and though he has come a long way in dealing with his pain and PTSD, there are parts of him that have yet to begin healing. Luke says this isn't a ghost story, but I don't agree. It isn't just the story of the ghost haunting Eelmoor Hall, though. No, most of the ghosts are their own pasts. And it is those ghosts that really begin their story together. The manifestation of the ghost of Eelmoor Hall was a perfect metaphor for dealing with the past so they can finally move on. 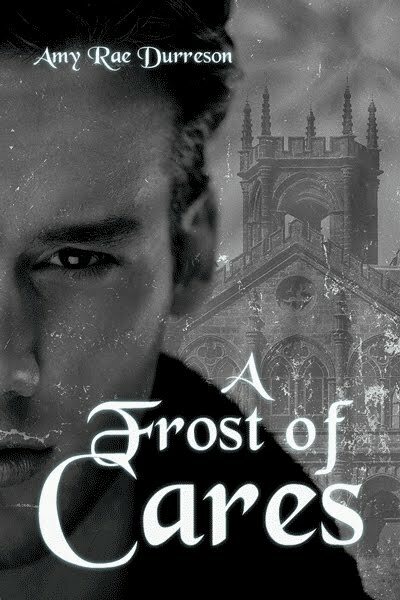 What an amazing story A Frost of Cares is! Told in the first person, by Luke, it is in turns chilling and hot. And more than a little creepy. Reading this book before bed wasn't the wisest of moves, perhaps, but it was worth it. 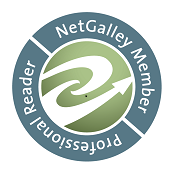 A review copy of A Frost of Cares was generously provided by the publisher, in exchange for an honest review.